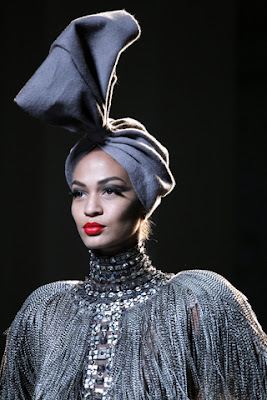 Another standout accessory from the couture collections was Jean Paul Gaultier's extravagant turban. It's regal and totally madcap. its like kikis deliver sevice gone vogue! POSIBLY OUT OF PAPER AND PASTE. My mom made me one of these once, with a hanger under the fabric. True story. Oh my god this looks so like Louis Vuitton but it is different. 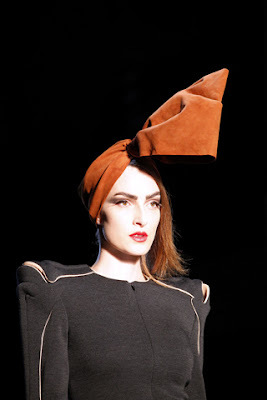 You will look great with this kind of hat!